Oh yes! The day is finally almost here! Scoot will be flying to Sydney starting 4 June 2012 and I am absolutely thrilled to be joining the inaugural flight together with other media and bloggers. Thanks to Scoot and Destination New South Wales, we have a few action-packed days where we'll be checking out the best of Sydney and its surroundings. Scoot also recently named its first two aircraft - Goin' Scootin' and Barry. I like the latter a lot! (Cue Barry White's "You're the First, the Last, My Everything"!) The Boeing 777-200 aircraft, which have just completed heavy maintenance, interior retrofit and painting at SIA Engineering Company’s facilities in Singapore. Meanwhile, Scoot is spreading some holiday cheer even before it starts flying by adding more seats on sale! Tickets (to Sydney and Gold Coast) for Christmas, New Year's and every other special occasion right up to 30 March 2013, are now available for booking. 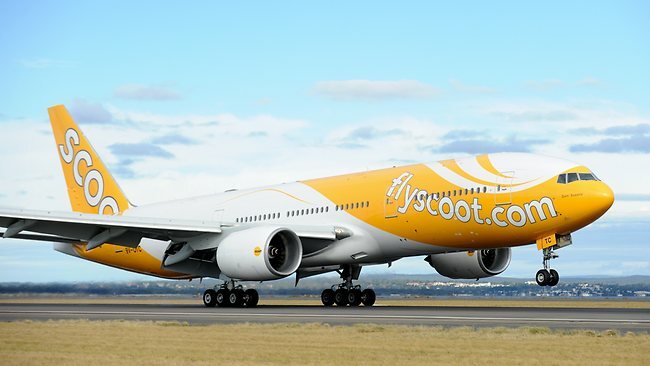 Check out Scoot's latest promo - all-in fares to Sydney and Gold Coast from just S$158, to Bangkok S$78, and to Tianjin S$188. See all terms and conditions on the website.